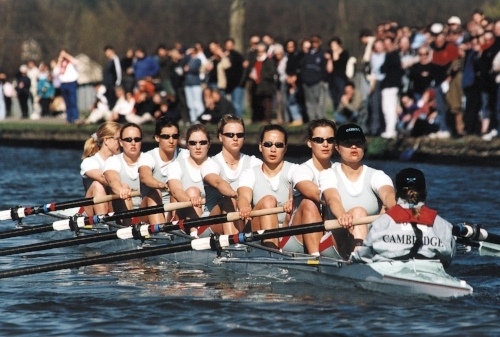 The organisation driving the vision of Cambridge Sport Lakes is Cambridge Sport Lakes Trust (formerly known as Cambridge Rowing Trust), a registered charity established to construct and maintain a 220-acre lake and country-park close to the centre of Cambridge. The Trust was established in 1992 with the primary aim of developing standards of rowing in the region and since this date has expanded its vision to one of a multi-sport hub of opportunity and education accessible to all. Key objectives in addition to building Cambridge Sport Lakes are to provide equipment, supervision, training and coaching for the public benefit with the aim of widening participation in outdoor sports. The Trust was founded with an initial gift of £500,000. The Trust has continued to solicit potential donors and to date £5.1 million has been raised. A significant proportion of this has been spent on design, planning and land acquisition costs to advance the project. Cambridge Sport Lakes Trust has instigated a sport development programme to fulfill its objectives of providing education and widening participation in outdoor sports. Through the purchase of equipment and the creation of courses and competitions the Trust has, for example, made rowing more accessible to women, young people and people with disabilities. Partners in the Trust’s sport development programme include Local Authorities, schools and sport clubs. The Trust has 18 distinguished Patrons, many of whom are leading figures in the world of sport or in the regional community. Patrons attend special occasions and celebrations, and contribute experience and expertise where they see fit.